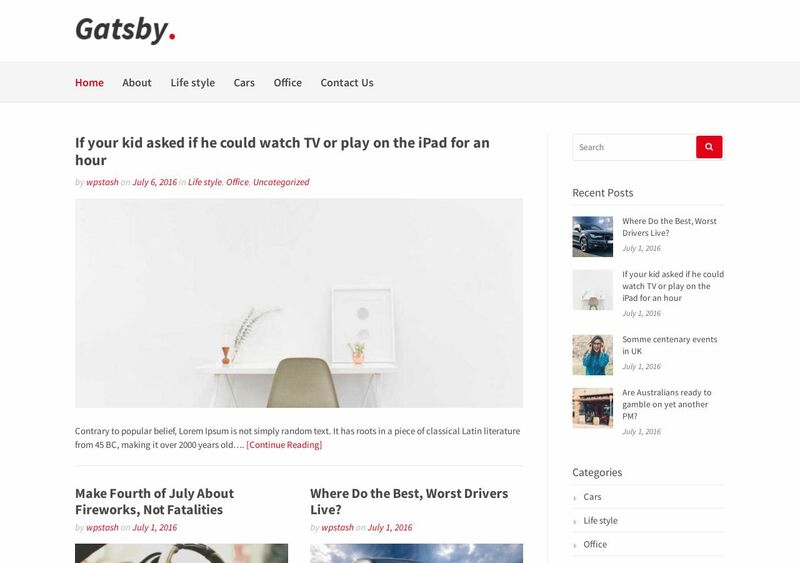 The Gatsby theme would best suit blogs in industries like technology, general news, niche products, and overall blogging sites. This theme provides just enough design finish so that you can continue adding new plugins and features as you feel appropriate. Nevertheless, the Gatsby theme implements a smooth palette of colors, typography, and content alignment. Posts are presented in traditional Content <-> Sidebar style, which means that you are able to add additional widgets and information to each post through the sidebar display. An added comment section ensures that all readers can voice their feedback. Should you wish to implement an Instagram widget or add other social media streams, you can make use of the widgetized footer section which gives plenty of room to do just that.